At Longmeadow Family Dental Care, taking the fear out of dentist visits is a number one priority. That’s why we like to outline just what you might expect at your next visit. Typically, a visit to the dentist may include the taking of x-rays, removal of plaque that has built up over time, and an overall evaluation of your dental health. 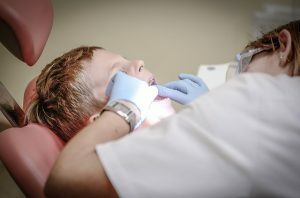 Your dentist professional will need to take new dental x-rays about every 12 months to make sure there are no cavities. This means that you probably won’t need x-rays for every appointment, just every other. Your dental hygienist will use a small mirror to check your teeth for obvious signs of tooth decay and/or gum disease. There’s nothing like a professional cleaning twice a year to remove the plaque that builds up on and between your teeth. Brushing and flossing at home are certainly important too, of course, in between visits, and can minimize the amount of work and time spent removing the buildup during your visit. Plaque that has hardened into tartar can really only be removed by a dental health professional, using a special tool called a scaler to gently scrape away plaque that hides along the gum line. The next step is to polish your teeth with special toothpaste that may seem a bit gritty. It’s not for everyday use, but is the perfect thing to use during your visits. Polishing your teeth shouldn’t hurt unless you have oral health issues. Your dental hygienist will then use floss to get between each tooth and make sure they are as clean as possible. Pesky dental plaque tends to hide between teeth, and while flossing your teeth, your dental hygienist will also be able to see if there are any places where there may be bleeding of the gums. Flossing also removes any debris left in your mouth from the plaque cleaning. Afterwards, you will be asked to rinse. Your dentist will then come in to conduct an exam of your teeth. Should they detect any tooth decay or gum disease, they will discuss your treatment options with you. If all is good, all that’s left to do is set up your next appointment and make sure you brush, floss and eat healthy foods until next time!